United Bank Limited (UBL) from Pakistan opened its first African branch in Dar es Salaam on September 4th, 2013. 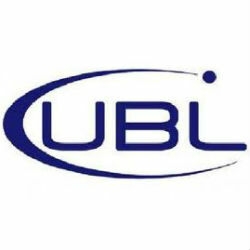 UBL has more than 1,220 branches in Pakistan, as well as 17 branches in the United States and throughout the Arab Peninsula. The launching ceremony was attended by Hon Vice President Dr. Mohamed Gharid Bilal who urged the bank to make use of new technologies that widens the reach of mortgage financing for Tanzanians. In Pakistan, UBL introduced in 650+ Omni Branchless Banking points which revolutionized the traditional banking model by offering basic services throughout urban and rural areas, well beyond the regular branch networks. Members of the local Pakistani business community also attended the event. UBL Director, Mr. Zameer Choudrey commented that the bank decided to open its first branch in Tanzania due to the impressive financial policies and business opportunities that are present. He further noted that Tanzania’s proximity to East Africa’s land-locked countries and substantial business partnerships with Asian nations made it a desirable place to launch.